DREAMING OF BECOMING THE BEST YOU CAN BE? Someone who can confidently say you’re an inspired and empowered leader? 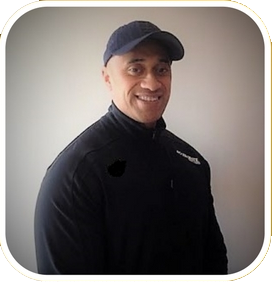 I can help you towards creating the life you dream about, where you can stand up and become the leader you always wanted to be – through mindset coaching or physique and fitness training. It starts with an initial consult to determine what it is you specifically wish to achieve. Once this has been determined, the WHY becomes the driver behind the goal. This is what will push you and motivate you to go the distance. In those moments of fatigue, hurt, pain and frustration, your WHY (together with my inspired and motivated approach) will get you to your desired goal/s. My training approach has a holistic all-over effect in both physical and mental areas. You will get stronger, leaner, mobile, flexible, fitter. In addition to the improvements in your physical health, your state of mind and cognition will improve dramatically as well. Living in a world which is on the go and seemingly getting faster by the day, it is too easy to fall into the trap of neglecting your health. Working with me will restore and gain massive improvements in areas of your life which create dramatic improvements in your health and life quality. Let’s make YOU a success! Learn about the power of your mind. Unlocking this power will propel you into creating big action towards achieving your goals. Mindset training and coaching with help you overcome limitations and unlock barriers to achieve greater results. Progression is the foundation to transforming and building a healthy and strong physique. Whatever your desired physique or fitness level is, progress is the goal of every session. We chip away at every stage to ensure you are operating at your optimum level. These motivating presentations will inspire and empower you to take action, with topics in the mindset and physique/ fitness areas. My speaking engagements are thought-provoking and will penetrate to the deep layers of your heart. Need an Inspirational Self Booster? Subscribe to receive my personal 52 weekly tips for an inspired and motivated life. I didn’t really expect to see any great results after what the Doctors had suggested was to be my future … but I think Danny had a different vision. He started training me slowly; he watched. I followed the plan Danny had set for me. After training with Danny for 3 months and following his diet, I had my blood tests redone. All indicators were now well within healthy parameters. I have said it before and I’ll keep saying it… THANK YOU DR DANNY, you have made a positive difference to the way I live my life, every day. I haven’t always been into health and fitness but thanks to Danny coming into my life, I have found my passion, where I belong. Not everyone gets an amazing coach and it’s important to realise when you’ve got one. Thank you for teaching me not just the skills of personal training but also mindset and life coaching. You taught me what it TRULY means to never give up! You taught me to always see the best and to truly believe in myself. Thank you for being you. You helped shape me to the person I am today and I am forever grateful. Danny has given up his time to help me, at times I can experience intense anxiety, Danny has taught me tools to be able to sit with this fear, see it for what it is and be empowered to think like an adult! Sounds strange – give his technique consideration and see what I mean. Not only has he taught me these techniques he encourages you to put them into practice by doing live streams onto his FaceBook page, that he gives up his personal time willingly to help others says a lot about the character and class of the man, I really appreciate Danny in my life!